CARTE D'ASIE ET DES POSSESSIONS ANGLAISES DANS L'INDOUSTAN. Segmented case map. Overall, 19 x 29 5/8* (48.5 x 75.3 cm). Publisher : Published in Paris, Bulla et Cereghetti. Grave par R. Thuillier; Ecrit par J.D. Lale. 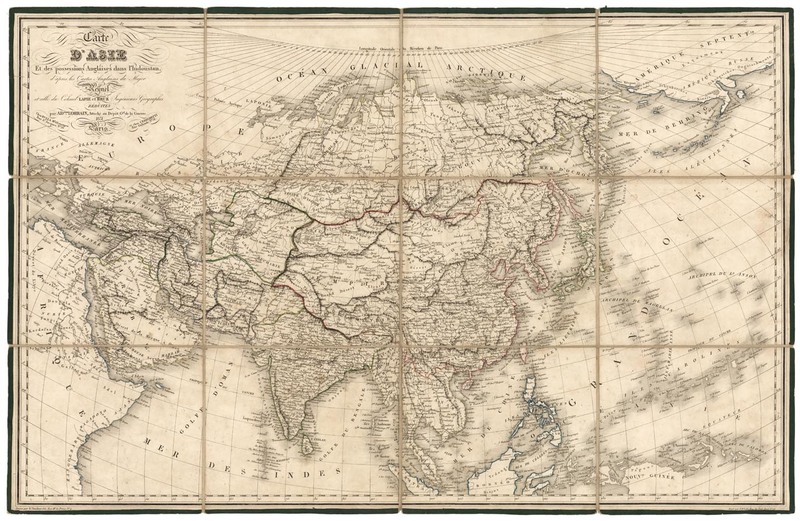 A detailed map of Asia that was published in Paris by Adolph Lorrain and was based on the cartography of Bure and Lapie.